Laurence Kemball-Cook, founder and CEO of Pavegen Systems, has a vision to power the world through human footsteps. 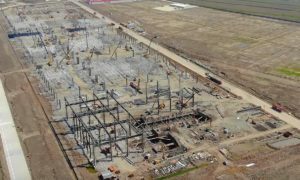 The company has developed a technology that uses floor titles made of recycled polymer that converts human footsteps into electricity. Each Pavegen title generates up to 7 watts (7 Joules) of energy whenever someone walks on top of one. 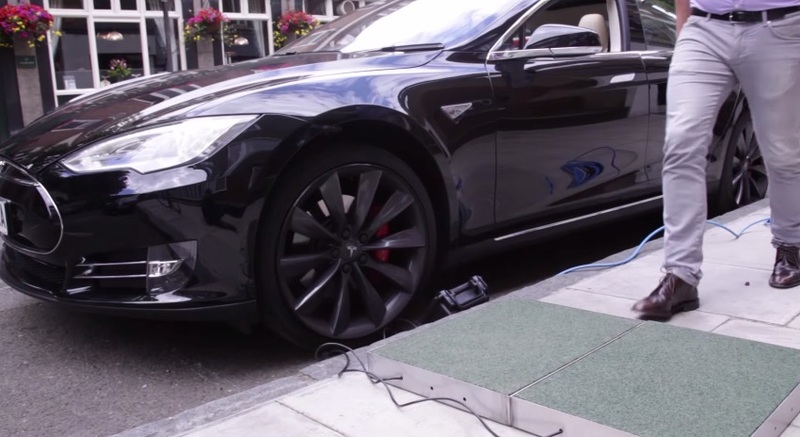 To prove the effectiveness of their off-grid energy harvesting solution, the folks at Pavegen placed a couple of tiles on a busy London Street, and on the other end, a Tesla Model S.
This is by far one of the coolest concepts we’ve seen!